R.I.P. Clint Frazier’s flowing locks. As a Yankees fan, I am not afraid to admit that the Yankees are exceptionally lame. Insulting their players and their fans is pretty bad, but so is the team’s Draconian grooming policy. For a while, No. 2 prospect Clint Frazier was able to skirt around the Yankees’ rules against long hair and fans were excited by the idea that they might have a player with an identifiable characteristic for once. It might seem silly but it got plenty of attention from the New York press. Well, the dream is dead. Clint Frazier had his hair buzzed this morning. He said that he talked to Joe Girardi and they agreed it had become a distraction. 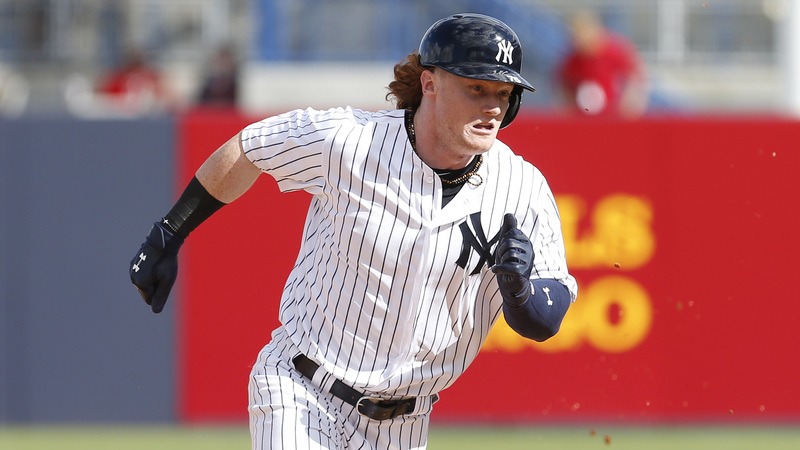 Joe Girardi said that Clint Frazier's hair did not violate the Yankees' policy, but that "it had become a distraction" in camp. That’s insane. A distraction! Having a player cut his hair for being “distracting” and not for violating the rules is somehow exponentially more stupid than having the rule in the first place. I hope they trade him soon so he can carry on the fine tradition of former Yankees staying away from razors and scissors.